It was 5pm on the 14th June 1800 and Napoleon Bonaparte was on the brink of defeat in the vineyards and corn fields of the plain of Scrivia in northern Italy. But his faithful lieutenant, General Louis Desaix, mud splattered and sweating after a frantic ride cross-country, was undaunted, confident that victory could be snatched from the jaws of defeat. The battle of Marengo, the climax of my novel Bitter Glory, had been underway for ten hours already. 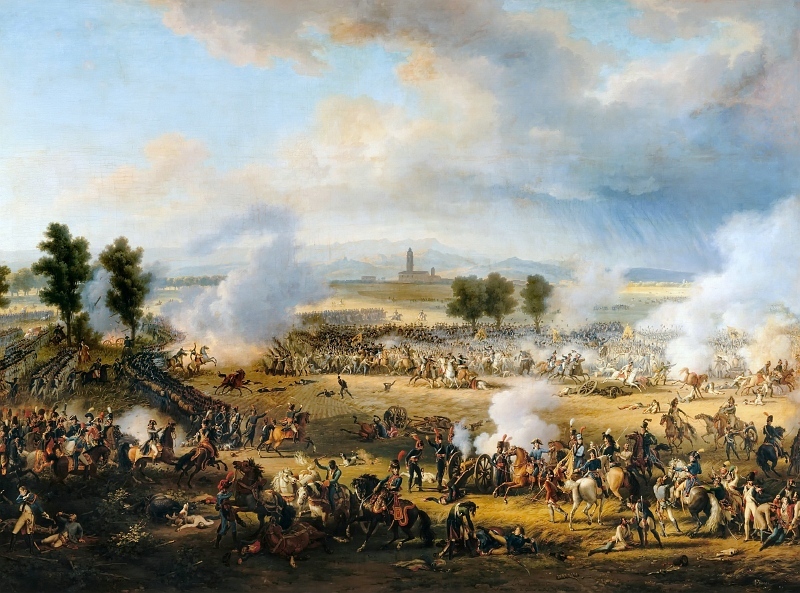 Lannes’ and Victor’s divisions had held the line unsupported against the bulk of the Austrian army for almost five hours before they were forced into a fighting retreat eastwards. As they withdrew, the Guard Infantry, sent forward to plug the gap between them had become isolated and had been cut to pieces by Austrian cavalry. For hour after hour the dogged retreat continued. Though the French divisions held their discipline, Bonaparte knew that only the arrival of Desaix’s force could prevent a disaster. What he had expected to be a battle of annihilation, the total destruction of the Austrian army in front of Alessandria, was turning out to be the destruction of his own force. 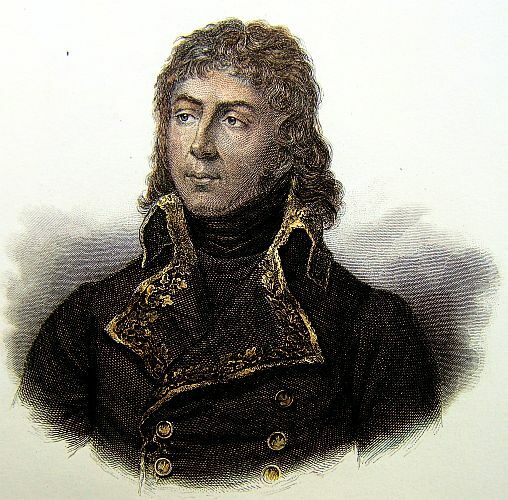 Thinking to prevent the Austrians slipping away, Bonaparte had sent Desaix south to cut off any escape route there but the great man had been duped, partly due to false reports provided by a double agent in the service of the enemy. Desaix’s mission was a wild goose chase as the Austrians had no intention of trying to get away. Instead they launched their own attack and by 5pm they thought victory was theirs. Their commanding officer, Field Marshal Melas, with an injured hand, had withdrawn from the field, handing over to subordinates for the mopping up exercise. Meanwhile, to the east, as Desaix’s men gradually arrived on the battlefield, a hastily improvised attack plan was put into action. Desaix attacked at the head of a fresh infantry brigade. Though he was killed by a shot in the chest almost immediately, his men pressed home the attack. The extended columns of the Austrian infantry were taken completely by surprise and then thrown into confusion and flight by a devastating charge by Kellerman, son of the hero of Valmy, at the head of his dragoons. His charge criss-crossed the Austrian columns creating havoc and when an ammunition carriage exploded behind the now panicked Austrians, they broke and fled. This created a chain reaction of panic and rout in the Austrian army. They had been so convinced that victory was theirs that the sudden reverse was utterly devastating for them. Their morale collapsed. By 6.30pm they were in total retreat with thousands falling prisoner to the now rampant French forces. When the fighting finally ended due to darkness and exhaustion at around 10pm the French forces were back to the positions they started in that morning and the battlefield was littered with thousands of dead and wounded. Fifteen years later Wellington would famously describe Waterloo as a “damned close-run thing”, but there have been few battles in history that have seen a change of fortune so dramatic and so decisive as Marengo. Well, using the near starvation of the garrison and population of a besieged city as an advertisement to sell biscuits may not seem very tasteful to our modern sensibilities; it would be rather like Nestlé using African famine photographs to sell chocolate, but it goes to show how famous the siege of Genoa became. The biscuit advert dates from almost a hundred years after the siege but it was still evidently redolent in the popular consciousness. The reality of the episode though was grim almost beyond description. 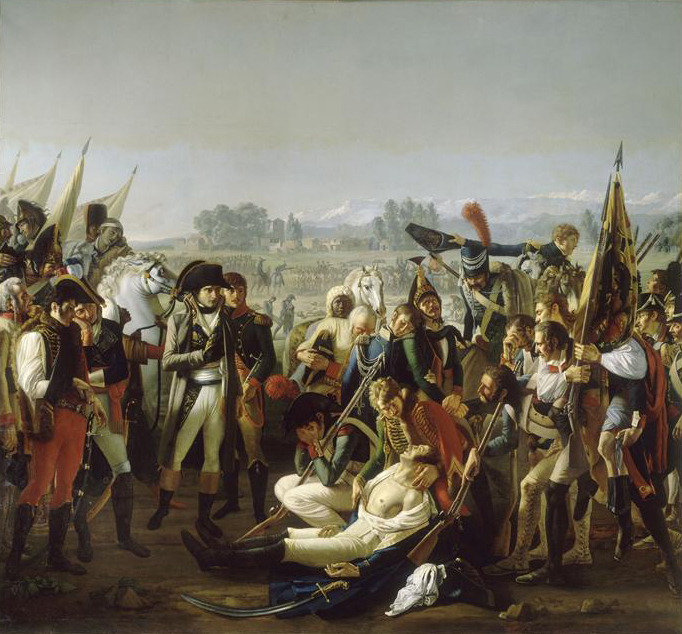 When Austrian forces attacked the French on the Piedmont front in the spring of 1800 pretty much everything went wrong for the French army And by late April they were divided and at bay. General Suchet was desperately defending the line of the River Var and General Masséna was bottled up in the coastal city of Genoa, beset by Peter Karl Ott commanding 40000 Austrian troops to landward and the Mediterranean Squadron of the Royal Navy commanded by the dour Scotsman Admiral Lord Keith, blockading from the sea. From a defensive standpoint there were few places better set up for defence than Genoa. The old city walls provided a last line of defence from the landward side but the main advantage for the defenders was the natural topography. Genoa was surrounded by hills which had been turned into an unbreachable barrier, the key summits crowned by forts linked by walls and bastions, all able to provide supporting fire to their neighbours in the event of attack. The Austrians attempted local attacks on various points around the perimeter but all were bloodily repulsed. The French too were not idle. Masséna kept up an active defence with regular sallies out of their defensive lines to counter attack their besiegers. But this was an expensive tactic. 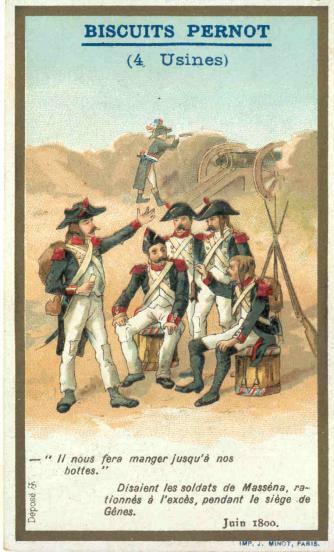 Casualties were high and in one Attack, Soult, Masséna’s second in command was captured. From the sea, the British bombarded the city using bomb ships commandeered from the Kingdom of Naples but otherwise simply stood offshore preventing any kind of relief. The waterside defences were too strong for them to risk trying to force the harbour and when the allies heard of the parlous state of the food supplies in the city they opted for sitting back and letting General Hunger fight for them. For generations the rulers of Genoa has managed the distribution of food in the city. For example, all bread was baked in central bakeries rather than by small private bakers. Historically, this had enabled the rulers to control the population, but mismanagement and corruption had led to the main food depots in the city being run down and poorly stocked even at the start of the siege. Within days food was in short supply. Strict rationing was enforced on the garrison and the civilian population were provided with little more than starvation rations immediately. With the infirmaries rapidly overflowing and the mass grave pits behind the church of Carignan filling as quickly as they could be dug, Masséna realised all too well that he was sitting on a powder keg ready to explode. When plague broke out in the city it was the last straw for the population and open revolt broke out. Masséna had to withdraw troops and guns from the defences to suppress the civilian rioters which they did with brutal efficiency. Though tainted with a reputation for venality and corruption, Masséna was a rock throughout the siege, though the strain in him personally was immense. He insisted he and his staff had the same rations as his soldiers; bread that was half saw dust and meat that came from God knows where. Horses, dogs, cats and rats all went in the pot. Various sources have claimed that during the siege he aged visibly and his hair went completely white. 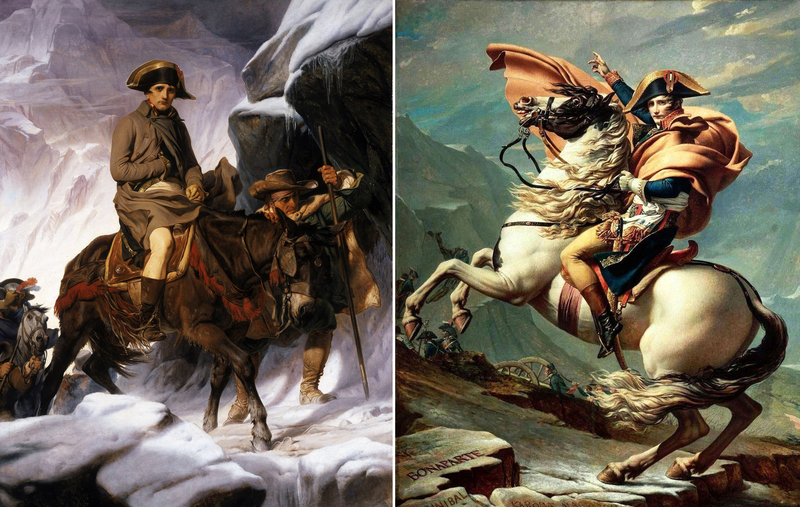 But he knew that the longer he held on in Genoa, the more time he would be tying down half the Austrian field army in northern Italy and the more time Bonaparte would have to spring his trap on them, descending behind them from the Alpine passes. But by the beginning of June, even Masséna knew the end was near. He opened negotiations with the Allied command for evacuating the city; he steadfastly refused to contemplate the use of the word surrender and threatened to fight to the bitter end if the Allies insisted on formal surrender. By this time too the Allies were under pressure to end the siege. News of Bonaparte’s offensive across the Alps had reached them and they readily conceded to Masséna’s demands to be allowed to march out of the city and rejoin the rest of their army at the Var. Even now the wily French commander strung out the negotiations for a couple of days but finally, on June 6th, with standards flying the bedraggled remnant of his scarecrow-thin army marched out of the pestilential city. Eight days later Bonaparte won his famous victory at Marengo that decided the campaign. Ott’s men were too late to rejoin the rest of the Austrian field army and they crashed to a devastating defeat. No one could have foreseen the long term consequence but the subsequent Treaty of Lunéville sealed the fate of the Holy Roman Empire itself.